Shana Falana wanted you to send her to Europe, so she launched a campaign, people paid money for incentives offered up, they reached their goal and now they will at some point in time be heading to Europe to treat them to their lovely blend of music and stage show. 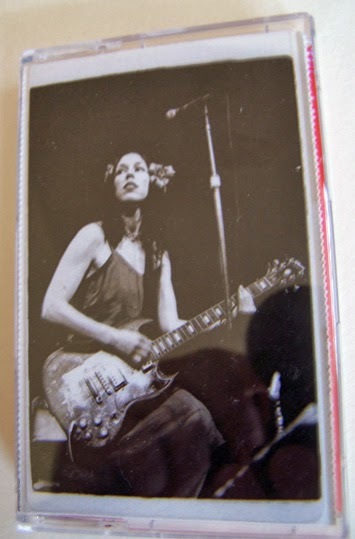 As a birthday gift, I pledged $50 to the Shana Falana campaign and that got me this cassette, a tote bag (so much like PBS) and an eventual post card from Europe. I was just going to get the cassette for $18, but I really decided that I like getting mail and a postcard from Shana Falana can go into my personal Rock & Roll Hall of Fame. 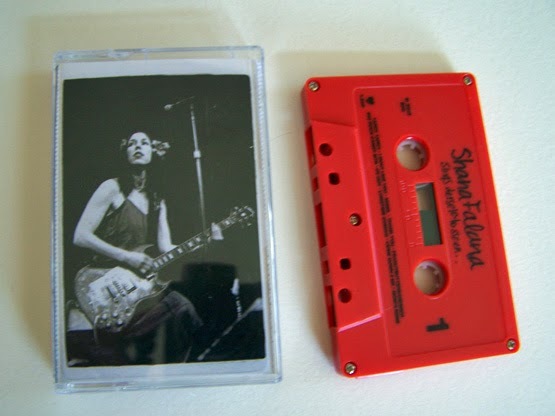 So if you didn’t know Shana Falana wanted to go to Europe or that she released this cassette, then you’re kind of out of luck. Unless you happen to live in Europe and be near where Shana Falana is touring because that is how the woman herself says you can only get the cassette now that the campaign is closed. Why am I writing this review then? 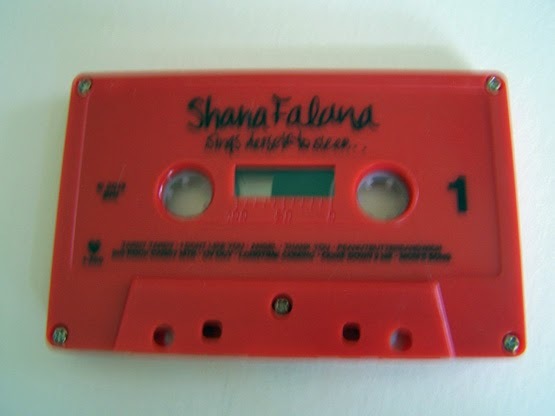 I can’t tell you how good this cassette is and thus you should give all of your monies to Shana Falana for it because, well, she won’t give it to you. 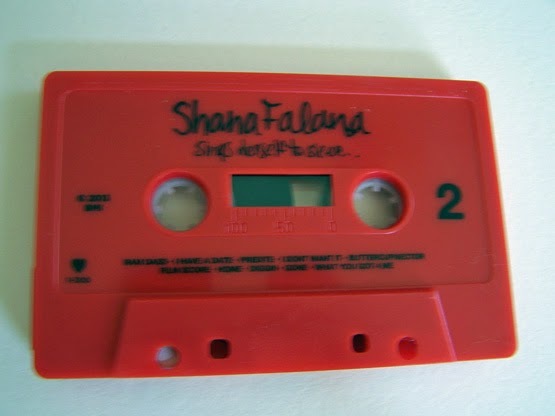 Although, if you had ever planned to go to Europe for a vacation or whatever, now might be the time to do it and plan it around seeing Shana Falana there just so you can get this cassette tape. 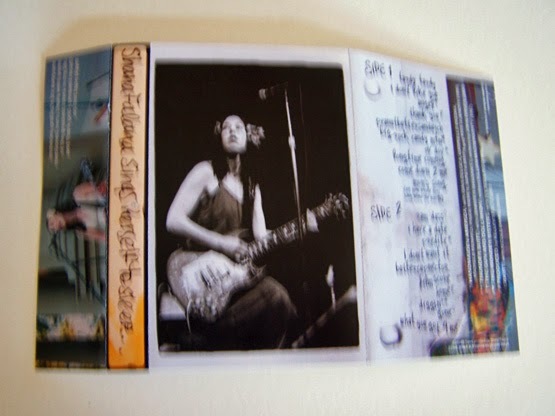 I am a huge fan of Shana Falana. Had I the funds, I probably would have bought a private performance from her, recorded it and then sold it online as a sort of DVD or something (giving all of the money back to her of course) So when I tell you that this is Shana Falana unlike you have ever heard her before, you better believe that I am serious. This is not at all what I was expecting, but it is still just so great. My two year old enjoys dancing to it, and I’ll let him even though Shana Falana talks so much about being stoned. If further evidence is needed, fine, but let this also serve as Reason #1 why when Shana Falana complete their full length it should be released on cassette. Should some existing tape label out there not want to do it, I will.